Seelan Restaurant at the V&A Waterfront is situated in the most beautiful part of the Cape with views of the harbour and of course Table Mountain. 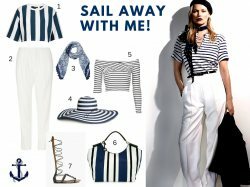 This restaurant is known for bringing a slice of the Mediterranean to the Cape Coast and LUXO was lucky enough to review their latest signature dishes as well as their Winter Warmer Set Menu. 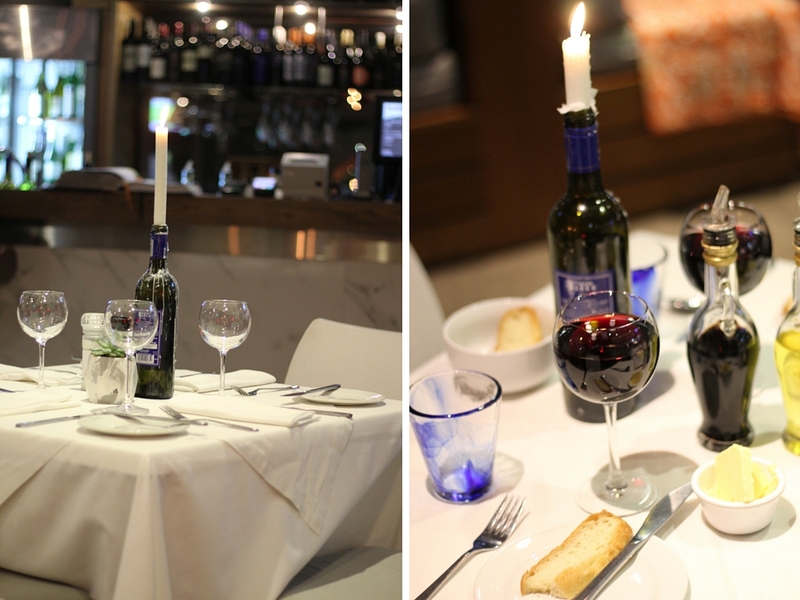 Seelan is the perfect dining spot for winter with gas heaters and candles warming up the space. Ritza and I enjoyed a glass of red wine while the manager/experienced chef explained the specials and the beauty behind Seelan Restaurant. 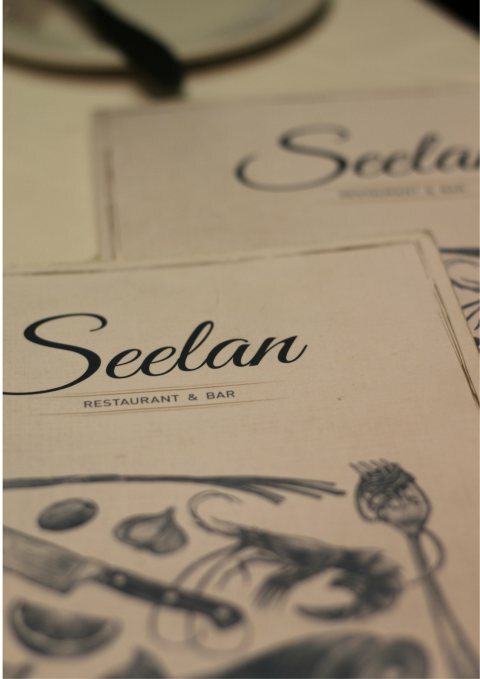 Seelan has a great Winter menu for all our foodies out there that won't break the bank! 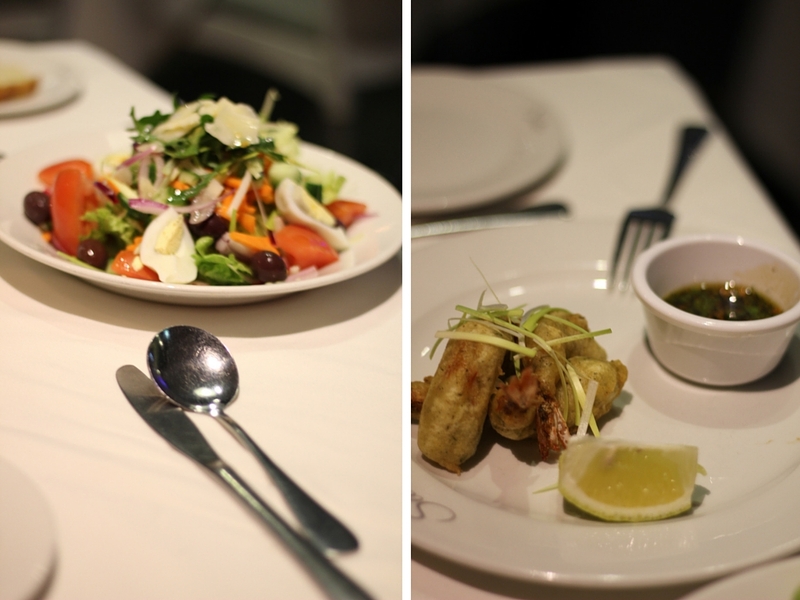 A 2-course meal is set at R180 and 3-course for R220. We enjoyed various dishes from this menu and they are all highly recommended and worth every penny. The owner of Seelan restaurant, Seelan Sundoo is a purist and believes in using only the best ingredients to maintain the standards of the restaurant. Manager, Touna Naidu made sure we were well taken care of throughout the night and as we worked our way through the menu, we could definitely see what is meant by top quality food from presentation to taste. Mixed Green Italian Salad (left) and Prawn Tempura with a teriyaki sauce (right). 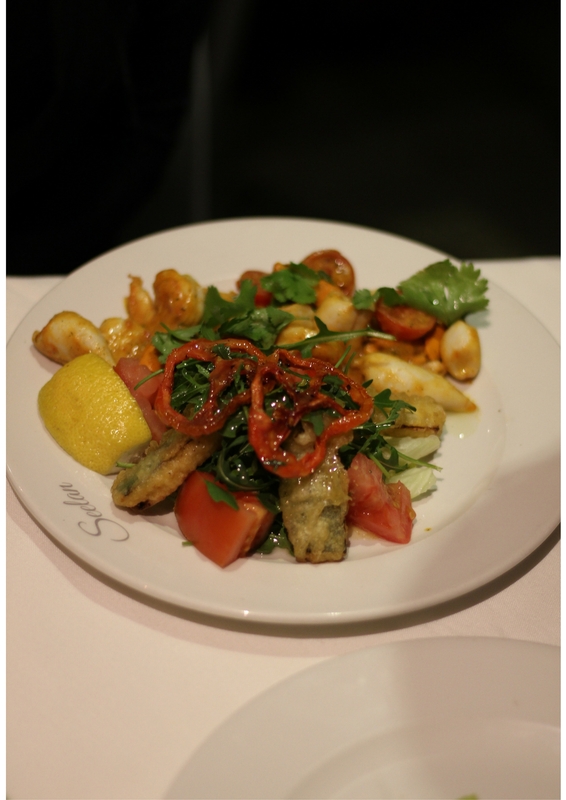 The spicy seafood salad is part of the Winter Warmer Menu and has unique curry spices - definitely worth a try. 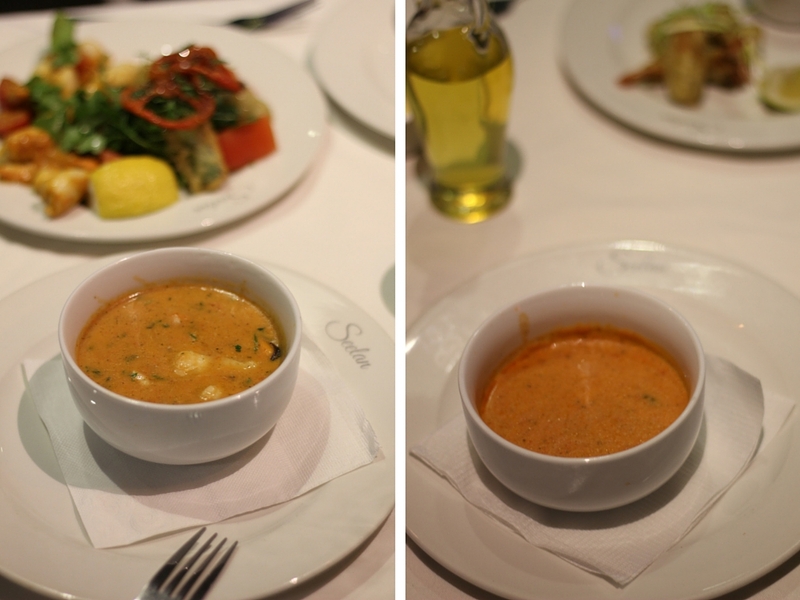 The Seafood Bouillabaisse was Ritza's favourite and it is a must-try if you like seafood. It is creamy, rich and slow-cooked to perfection. The Lobster Bisque is also part of the Winter Warmer Menu and is a perfectly smooth blended hearty soup. 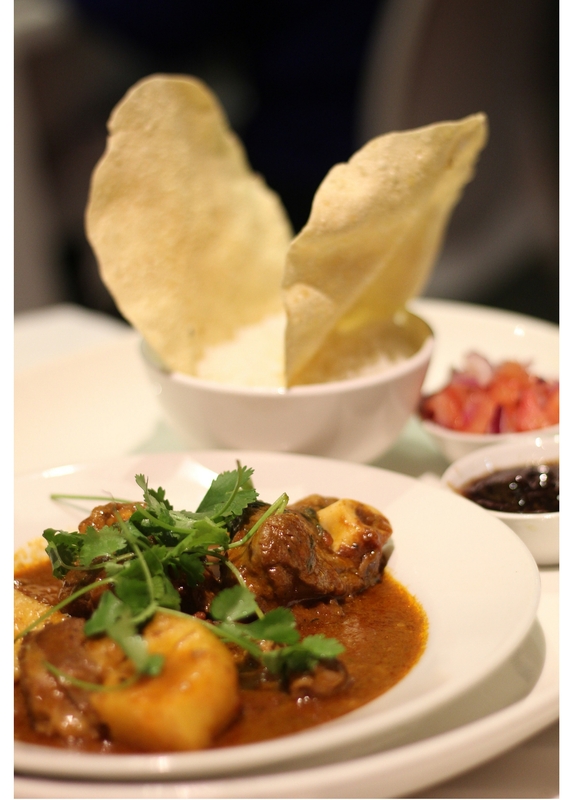 My personal favourite of the night was the warm and hearty lamb curry - from the presentation to the taste, this dish made me feel right at home and is the perfect dish to warm your soul this winter. 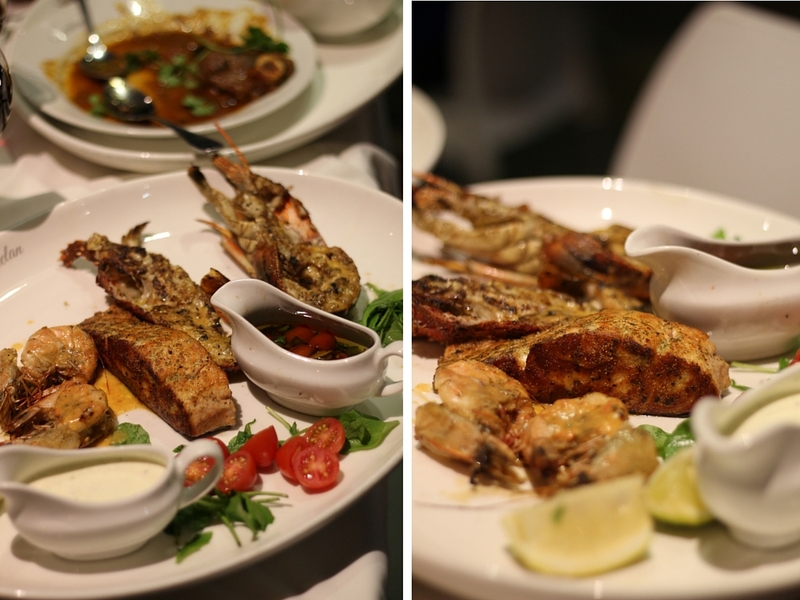 Seafood platter with Butterflied East Coast Tiger Prawns, Seared Salmon with honey, ginger and soy sauce as well as Grilled Whole Crayfish with Garlic & Herb sauce. 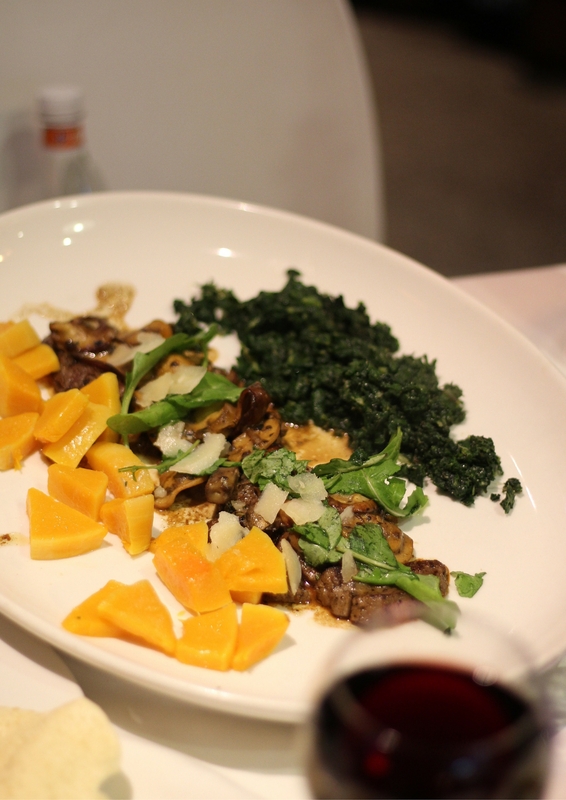 Medium-rare sirloin steak topped with a porcini mushroom sauce and shavings of parmesan cheese served with creamed spinach and roasted butternut. 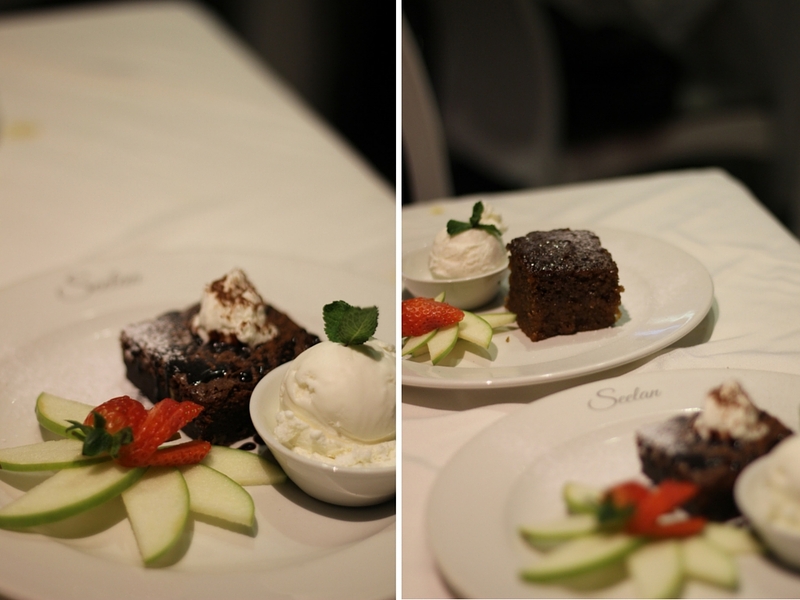 The best part of any meal is dessert and the Malva Pudding at Seelan is highly recommended. 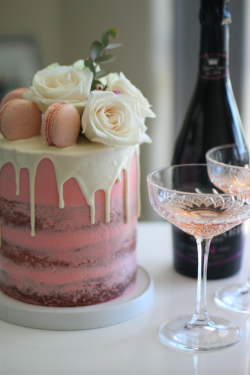 It is light, delicious and taste just like when "mom makes it!" Both these desserts are on the Winter Warmer Tasting Menu and will hit that sweet spot! Lindt chocolate tart and traditional Malva Pudding served with homemade vanilla ice-cream. 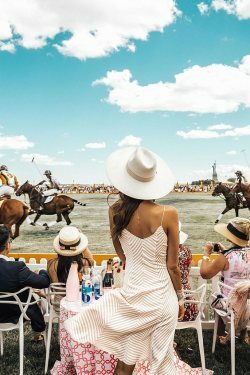 Thank you to Seelan Restaurant for the food journey and if you would like to make your booking, visit their website here or contact them at 021 421 4906. No comments yet on Winter Dining with Seelan Restaurant .